Once in a while, I find a resource that I’m so excited about, I can’t put it down. 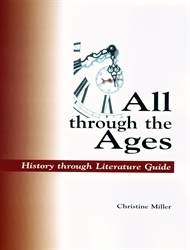 All Through the Ages by Christine Miller is just such a resource. My wonderful friend, who introduced me to the various homeschooling styles and curriculums, loaned me her copy – and the rest is history. All Through the Ages is an index of books, arranged first chronologically by historical period, then by grade, then by genre of book. There are also sections arranged according to geographical history, by the history of science and mathmatics, and according to the history of visual arts and music. At the end, there is a list of the “great books” of western civilization and Christian tradition. This tremendous wealth of knowledge is followed by an index, listing books alphabetically both by author and by title. As though the list of books itself were not treasure enough, Ms. Miller has included timelines of each period and fascinating articles from her own history books covering interesting topics, such as: “Who were the Hyksos?”. Ms. Miller compiled her list of more than 5600 books by drawing from a variety of respected book lists, award lists and catalogs. The books include a mix of secular and Christian books. She is careful to note when a book contains evolutionary views, and when it requires parental previewing. She is also likely to note what viewpoint a scholarly book is written from (Catholic, award winning scholar, renowned biographer, etc). I love the history sections. The historical periods range from periods such as Creation, Ancient Rome, Reformation, American Revolution, World Events since the Renaissance and Modern Era. The periods are definitely western-centric and once the U.S. becomes involved, the rest of the world is relegated to large sections. Thankfully, Ms. Miller also has her geographical section, so I can look through China, Mexico or Polynesia if I need a resource from there. Every section is divided into five sections: “Resources for all ages”, “Grades 1-3”, “Grades 4-6”, “Grades 7-9” and “Grades 10-12”. The grade levels are then divided into genres: “Overview of the Era”, “Specific Events”, “Biography”, “Historical Fiction”, “Literature” and “Culture”. Books are listed in the genre sections chronologically by the dates they cover. All Through the Ages is a fantastic resource for locating books. With this book, one could plan unit studies, investigate the best writing available for a given time period (that’s a great help for my fellow writers), supplement and tweak your current curriculum, help a child track down reading materials for a given interest, and build your own library. Personally, I also use the book as a catalog. I check off the books we acquire and add books I love. I take All Through the Ages with me when I go to used bookstores, and thumb through the index to see if a given book is included. (I also put check marks in the index so I know if I already own the book). All Through the Ages is one of my very favorite resources. I carry it with me around the house, and chaos ensues whenever I misplace it. Thank you so much for this too! And you blog in general! I am starting to think really hard about homeschooling and it’s so much to look at and think about and figure out! So thank you, and keep up all your good work! Danika, where did you get your copy? I got mine on eBay. It was a long arduous task to find a 3rd edition that was less than retail (it took me months). Now that I know how much I love it, if she comes out with a 4th edition, I’m going to buy it asap. I see they are at Rainbow Resource, and also at Exodus: http://www.exodusbooks.com/details.aspx?id=6291 We love Exodus Books, by the way. It’s run by a great homeschool dad and the online reviews are fantastic. 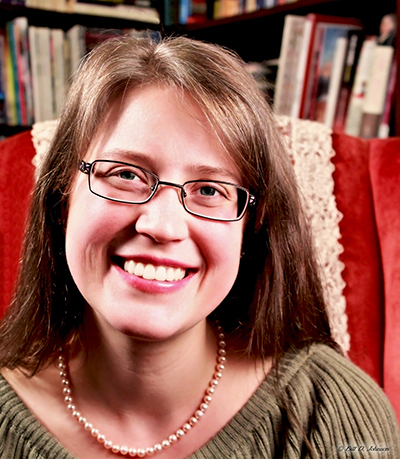 Thank you for featuring Exodus Books in your post! It’s our favorite store too and we are so blessed to have them near our home.